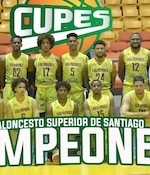 Leones won the LNB title for season 2011. They outplayed Cocolos 82-70 in Game Six for 4-2 victory in the Finals series. Walker Russell (183-G-82, college: Jacksonville St.) exploded for Leones last night with 29 points, 6 rebounds and 7 assists. 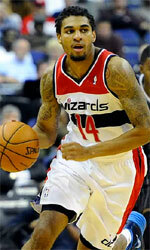 Jesse Pellot-Rosa (193-G-84, agency: Paris Global Sports, college: VCU) secured a great help adding 15 points and 10 rebounds. Manuel Fortuna followed them with 13 points, 6 rebs and 5 assists. On the other side, Jack Michael Martinez (203-F/C-81, agency: Paris Global Sports) was impressive. He had monster double-double of 25 points and 18 rebounds. Evan Brock (204-F-84, college: Alabama) collected 14 points and 9 rebs in this defeat. Quarters: 16-24, 16-13, 18-20, 20-25. Leones finished regular season as the second ranked team of Group South. They eliminated Reales with almost perfect 3-1 in the Semis.